On 28 March 2015, Nigerians will cast their vote in a keenly contested general election, preparations for which have presented both challenges and opportunities. Concerns about Nigeria’s ability to hold a peaceful general election in 2015 have characterised the work of governance, peace and security sector practitioners and policymakers for some time now. The prevailing discourse emanating from Nigerian and international actors alike predominantly focuses on the actions (and inaction) of major stakeholders, including Nigeria’s ruling and opposition political parties, mass media and civil society, and the international community. Nigeria’s upcoming polls are significant, with the potential to make or mar the country’s democracy and threaten its peace and security and, by extension, the stability of the West African region and of the continent. The outcome of the election will largely depend on preparations and the administration of processes by Nigeria’s Independent National Electoral Commission (INEC) before, during and after the polls. 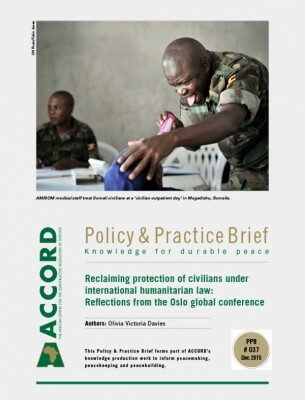 This Policy & Practice Brief (PPB) primarily aims to explore Nigeria’s readiness for the election. It draws attention to challenges affecting planning in Nigeria and highlights opportunities that can be harnessed to ensure a free and fair election, with a result that is nationally accepted. The brief assesses the national, regional and international significance of the polls. It analyses the INEC’s preparations for them, as well as the impact of salient contextual issues on the electoral process and its outcomes. It also reflects on opportunities for and limitations to the effective administration of the election. Despite advances in preparing for the polls, there are notable challenges in Nigeria which could negatively affect the March 2015 vote and call into question both the fairness of the process and its results, if no urgent steps are taken to address them. 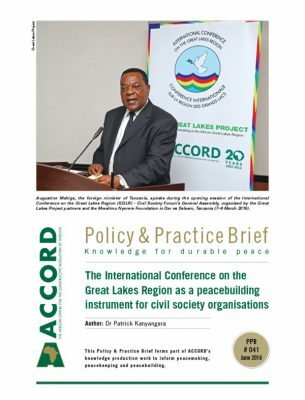 The brief concludes by advancing recommendations for various stakeholders which, if applied, could be useful in ensuring that the election in Africa’s most populous nation and biggest economy is free and fair, and that its outcome is supportive of peace and stability in the country, and the region. As Nigeria prepares for the 28 March 2015 election, there are already causes for concern over whether the vote will be free, fair and peaceful. For one, the language used at political rallies and events by members of all political parties remains violent and divisive. In the run-up to the election, ethnic and religious chauvinists have reportedly been stoking the fire of violence during electioneering. The northern part of the country insists that power must return to it, as sitting President Goodluck Jonathan, who originates from Nigeria’s south–south zone, insists on a second term in office. While the ruling People’s Democratic Party (PDP) seems to have suffered setbacks as a result of unprecedented factionalisation and defections, a number of leading opposition parties have capitalised on this to merge and form a ‘mega party’ through which to challenge the ruling party. Adding to the problems in Nigeria is that national security has continued to deteriorate, to such an extent that the situation provided an excuse for the military and other security agencies to ‘force’ the INEC to postpone the election – originally scheduled for 14 February – to 28 March. Together, these developments appear to have reduced the level of public trust in Nigeria’s electoral process and may negatively affect the level and quality of citizens’ participation in the vote. Thus, unless fundamental transformation is achieved before the polling date – which is highly unlikely, based on past trends – the odds are against the election being well-administered, which may generate a crisis of legitimacy and cause the results to be called into question. This year’s election is the fifth since 1999, when Nigeria returned to civilian rule. If well administered in terms of fulfilling the most basic democratic requirements of elections: competition, participation and legitimacy,3 the poll will strengthen Nigeria’s prospects for democratic rule and national development. 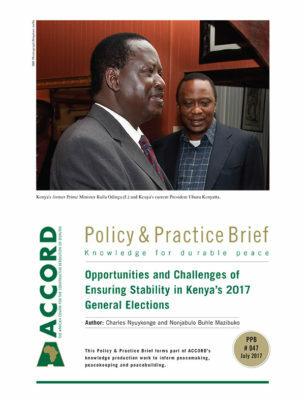 The success of the election largely depends on how effectively state security measures to minimise occurrences of post-election violence, as observed during 2011, are implemented and managed. Violence and unrest in the run-up to the 2011 polls claimed the lives of more than 800 people and led to the displacement of approximately 65 000.4 As this is the first time that Nigerians cast their ballots since then, how the country votes this year could highlight whether crucial lessons were learnt, or not, from the events of 2011. Nigeria’s dominance in West Africa, in spite of a number of challenges – chief among them the global downturn in crude oil prices and rising insecurity – remains largely uncompromised. With an estimated 170 million plus inhabitants, Nigeria’s population is the largest in Africa. 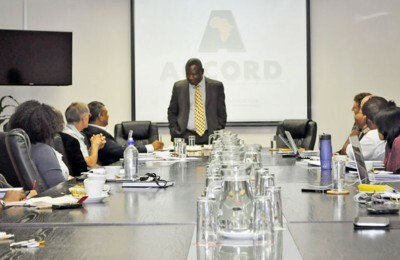 Moreover, the recent rebasing of the country’s gross domestic product (GDP) saw the country, with a GDP pegged at US$510 billion per annum, emerge as the largest economy in Africa. Nigeria also has a robust military capability that puts it in first position in West Africa and is comparable only to that of South Africa in Africa. The country ranks third in military spending, after Algeria and South Africa.8 Nigeria has always demonstrated its willingness and ability to project power (show activism in the field of peace and security) regionally and internationally, and has an impressive record of participation in international peacekeeping operations at the levels of the United Nations (UN), African Union (AU) and Economic Community of West African States (ECOWAS).9 Despite its own faltering democratic credentials, the country has been a leading promoter of democratic values in Africa.10 With this background, it is highly unlikely that challenges to its governance architecture and election processes will only be felt internally, thus raising the stakes of the 28 March polls. A mismanaged election in Nigeria would be catastrophic for peace and stability in West Africa. In August 2014, the Boko Haram insurgency had created approximately 650 000 internally displaced persons and many more refugees in neighbouring countries.12 In fact, in Nigeria’s Borno and Yobe states, the two most affected by the insurgency, over 10 000 inhabitants have become refugees in Cameroon.13 One account indicates that Boko Haram’s actions have led to more than 100 000 Nigerians seeking refuge in the Diffa region of neighbouring Niger since the beginning of 2014,14 while another estimates that there were 44 000 Nigerian refugees in Cameroon and 2 700 in Chad.15 Unfortunately many, if not all, of these West African countries are already weighed down by severe socio-economic challenges of their own, meaning that political instability in Nigeria, which may lead to Nigerians seeking support from their neighbours, can only complicate matters. 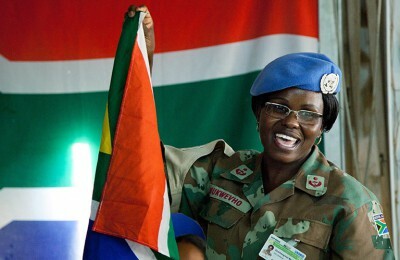 Being a major troop contributor to peace operations in West Africa and the continent as a whole, and having already re-directed a substantial number of its troops to deal with the Boko Haram threat at home, any post-election instability could threaten peace processes in countries like Mali, where Nigerian forces are currently helping to keep the peace. 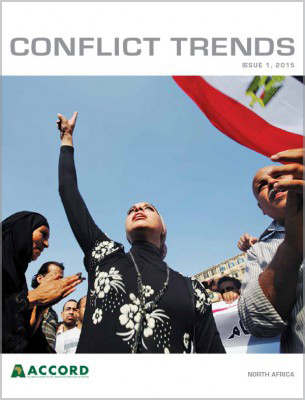 Of more concern is that the movement of people across permeable borders in the region could lead to post-election violence starting in-country, but then stretching all the way to various borders with neighbouring states. Scenes like this happened in Côte d’Ivoire in 2008, where running battles sparked by contestations about election results were fought up to the country’s borders with Burkina Faso, and in Rwanda, where génocidaires instigated clashes to settle scores right up to the border with the Democratic Republic of the Congo. Nigeria’s stabilising role in Africa and beyond is evident in its impressive international peacekeeping record; the country currently contributes 2 917 peacekeepers to various missions. 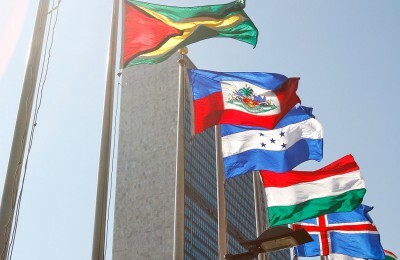 The country also played a pivotal role by (almost) single-handedly funding missions of the Economic Community of West African States Monitoring Group (ECOMOG) in Liberia and Sierra Leone, and going further to provide the highest number of troops and operational leadership for the same. 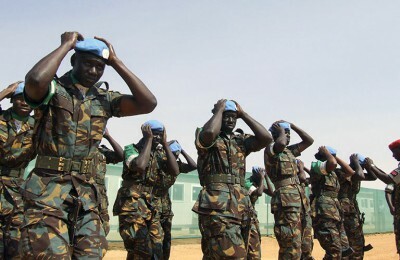 Nigeria not only shouldered the burden of funding its own personnel but also provided for the operational needs of all participating contingents.16 For example, UNAMSIL’s initial battalions (December 1999 to January 2000) cost Nigeria an approximate US $798,063.17 In Liberia and Sierra Leone alone, Nigeria reportedly spent US$8 billion on peace enforcement, before the UN intervened.18 Apart from reducing its substantial contributions to international peacekeeping activities, a Nigeria affected by pre- or post-election violence could become fertile ground for the recruitment of disillusioned citizens into criminal and terror networks, such as the Islamic State of Iraq and Syria (ISIS), particularly in light of the history of fundamentalism in the northern part of the country. The centrality of Nigeria to West Africa’s stability, development and regional integration means that it is important for stakeholders to pay close attention to how the pending election is organised and run. Nigeria’s INEC has the responsibility to prepare for the vote, including overseeing voter education, delimitation of constituencies, the revision of electoral registers, regulation of financing for political parties, oversight of party primary elections, the selection of candidates and building public confidence in the institution’s ability to effectively administer polls. These changes appear to have contributed to improving preparations for the election. 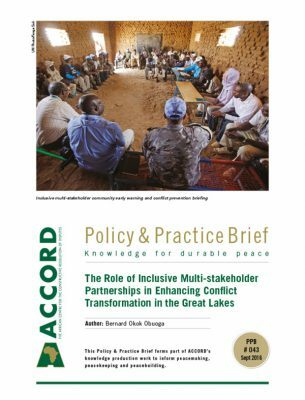 For example, enhanced stakeholder participation has ensured an enduring platform for inter-party dialogue, which contributed to the signing of a peace pact among leading political parties in the run-up to the 2015 vote. Improvements to the voter roll and the introduction of CVR and PVCs have the potential to guard against various forms of electoral corruption. Furthermore, the introduction of electronic card readers for the accreditation of registered voters could also help, although opposition to their use has been fierce, resulting in litigation and protests that have been led by stakeholders with vested interests. Other challenges in the INEC’s preparations include its seeming lack of capacity to effectively regulate political finances and party primaries. The bellicosity associated with party primaries in the two leading parties is particularly alarming. Yet, the INEC’s failure to effectively deal with challenges encountered during the 2011 polls denigrates its preparedness. The most significant manifestation of this incapacity pertains to its inability to prosecute perpetrators of post-election violence to deter would-be troublemakers in the 2015 election. Defections, political party mergers and the formation of a mega opposition party also have important implications for the election. The ruling APC itself was the product of the merger of the now defunct Action Congress of Nigeria (ACN), the Congress for Progressive Change (CPC), All Nigerian People’s Party (ANPP), and a breakaway faction of the All Progressives Grand Alliance (APGA), led by Rochas Okorocha, the governor of Imo State. Intended to supplant the PDP, the emergence of the APC as a mega party makes for a more intense contest. The APC appeared to have gained strength when a breakaway faction of the PDP, initially christened the ‘New PDP’ and led by five incumbent PDP governors, a former national chairman of the party, leading members of the National Assembly in both chambers and their teaming supporters, defected en masse to the APC, citing irreconcilable differences within the ‘old’ PDP. The emergence of the APC could bring about, for the first time, real competition in Nigeria’s political processes. The merger has, however, its own complications, most notably the heightened proclivity towards violence by political parties losing members due to defections, or parties and individuals feeling that their security is threatened by the others’ victory. Increased competition in Nigerian politics raises tensions which, if not managed well, could see the situation leading to violence. Moreover, in attempts to address the challenges created by floor crossers, the affected party may resort to foul tactics. Changes to the electoral timetable, as will be discussed shortly, illustrate this tendency. Party primaries appeared worse at state level, where processes were allegedly manipulated and hijacked by ‘big boys and money bags’.32 Evidence of real or attempted electoral fraud manifests as factionalism within parties, often leading to splinter groups that eventually merge with other parties. While this challenge cuts across the APC and PDP, it seemed much more pronounced within the PDP, where aggrieved aspirants for the positions of state governors who were dissatisfied with existing internal mechanisms for redress, formed a national body to protest alleged injustices in the way primary elections were held, and threatened to collectively dump the party.33 Such a move was unprecedented in the history of party primaries in Nigeria, and serves to underscore increasing demands for openness and transparency. The campaigns, however, have generally been uninspiring, with the parties more interested in discussing trivial issues, at the expense of articulating ideas on the way forward. So far, electioneering has been characterised by accusations and counter-accusations about the personalities and eligibility of the two leading presidential candidates to stand for election. The PDP repeatedly accused Buhari of having cancer and, therefore, being unfit to serve as president. However, no proof was shared to support these claims.36 The party also alleged that Buhari did not have a secondary school certificate, the minimum mandatory requirement to contest for the office of president. Even when the principal of the school where Buhari studied produced evidence that the allegation was false, and this was corroborated by Cambridge University and his former classmates at the school, the PDP continued with the claim to discredit him.37 Recently, President Jonathan’s campaign office issued a statement claiming that Buhari’s Chatham House lecture was ‘arranged’ for the sum of â‚¦5 billion (approximately US$25 million).38 In another statement by the same office, the ongoing fuel shortages across the country were reported to have been engineered by the opposition APC.39 The APC too cannot be exonerated from these underhand tricks. 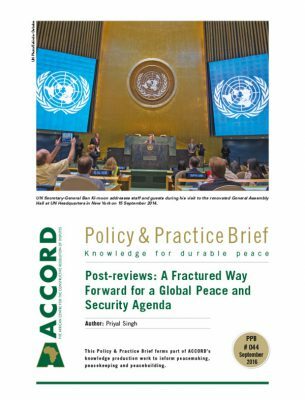 Though it has focused more on discussing the core issues it set out as its priorities if elected – national security, revamping and diversifying the economy, waging an effective war on corruption, and promoting youth employment – the party has also been highlighting what it considers the corruption, recklessness, wastefulness, cluelessness and general underperformance of the current PDP-led administration. Psychological violence has also been directed at the electoral and overall democratisation process. The controversial change to the election timetable and eventual postponement of the poll represent a threat to Nigeria’s voting and democratic processes. Whereas the delay was envisaged within electoral legal frameworks, and activated even during the 2011 election (when the INEC effected a two-week postponement for logistical reasons), the 2015 case seems to be politically motivated by the PDP and facilitated by the military. The idea was first mooted by Senator David Mark, president of Nigeria’s senate, who declared that ‘there is no question of election, it is not even on the table. We are in a state of war’. His position was immediately and widely condemned by opposition senators.44 When the deferment was eventually announced, many saw it as a move by the PDP to buy time to reorganise itself and dampen the growing momentum of the APC across the country.45 The speed with which the PDP welcomed the postponement suggests two things: its possible complicity in the saga, and that it would benefit from the rescheduling. The claim by Prof Attahiru Jega, chairman of the INEC, that the proposed six-week wait had nothing to do with the INEC’s level of preparedness, but was in response to written communication from all security chiefs indicating that if the elections went ahead on the original dates (14 February and 7 March), they would not be available to provide security for the electoral process,46 is revealing. So as not to jeopardise the lives of electoral officers and the safety and integrity of voting materials, the INEC acceded to the demands of the military, with serious consequences for political parties, particularly opposition groups which operate on relatively thin budgets compared to that of the ruling party. 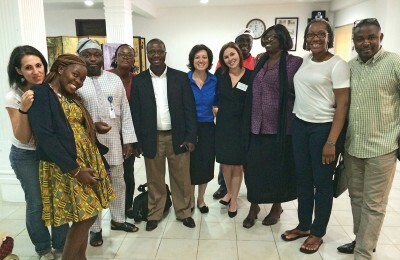 Those in the international community generally expressed disappointment over the delays, and appealed for further postponements to be avoided.47 So ready were actors to witness the process that the majority of accredited international election observers had already arrived in Nigeria by the time the election was postponed, translating into additional costs for them and disruptions to their work schedules. There has been an ongoing campaign, spearheaded by leading figures in the ruling party and a section of civil society, for the removal of Prof Jega. The movement aims to force him to accept terminal leave prior to the vote. This worrying trend of attacks on Prof Jega’s integrity, led by various politicians, is underpinned by accusations that in his role as INEC chairman, he is biased against the PDP. The drive has been interpreted by the opposition as an attempt by the PDP to engineer victory through the back door. This accusation is exacerbated by the absence of concrete official responses to diffuse the insinuations and has had the effect of dampening morale and reducing citizens’ trust in the electoral process and its outcome. The analysis above suggests a number of opportunities for and limitations to the effective administration of the 2015 election in Nigeria. Generally, if embraced by all stakeholders, the reforms that the INEC put in place in 2011 and has managed to sustain offer significant opportunities for the effective administration of the polls. For instance, platforms created to increase dialogue among security agents, political parties and civil society organisations (CSOs) have been very useful. Despite accusations and counter-accusations by parties over the postponement of the vote, it is clear that the INEC did not arrive at this decision without meeting with the leadership of almost all political parties. 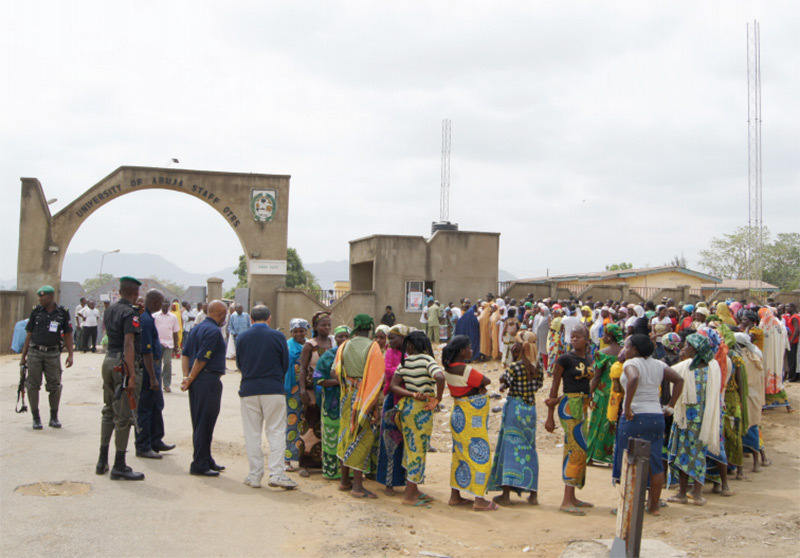 Encouragingly, in the aftermath of the seeming face-off between the INEC and security agencies over the rescheduling, the platforms have been used to hold more meetings to discuss crucial issues to do with security around the election. 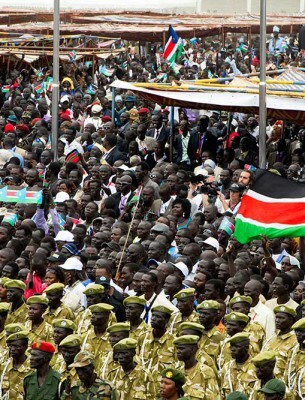 Before the deferment, the same forums supported the signing of an agreement on non-violence among political parties. The INEC must continue to explore the use of similar avenues for inter-agency dialogue and dispute resolution. Irrespective of the contradictions around the postponement, the delay allows the INEC more time to tighten loose ends in its preparations. For example, during this period, the INEC managed to distribute more PVCs, a significant proportion of which were collected by voters. By so doing, the commission reduced tensions accompanying accusations of lopsided distribution in favour of the opposition APC. Though not a given, more collections of PVCs by registered voters could translate into greater voter turnout and citizens’ participation in the election. The extension could also afford the INEC more time to test-run its equipment and train its personnel, especially contract staff, to use the card readers, and in other salient aspects of the polls. The introduction of PCVs and the planned deployment of electronic card readers for the accreditation of voters is a positive move – if effectively implemented – as the technology has the potential to eliminate common electoral fraud; especially impersonation, multiple voting, and the manipulation and falsification of results. The INEC’s public image also appears to have improved since the 2011 election, which generally showed marked improvements from previous polls. This view, coupled with subsequent reforms, the manner in which the INEC handled the matter of the postponement, and its disclosure of the ‘real’ reason for the delay, improved the credibility of the body in the minds of Nigerians and the international community. The personal integrity of the chairman, as evidenced by the decisiveness with which he handled the postponement, and the ways in which he has carried himself in the wake of an ongoing campaign against his person and demands for his removal, also seem to have benefited the commission. There are reasons to be worried, however. For one, the increasing relevance of ethno-regional and religious identities in the electoral process raises some red flags. The unprecedented manipulation of these identifiers in all political parties lends the upcoming election the aura of war between the north and south of the country. Prof Bolaji Akinyemi warns that whatever the outcome, the manipulation of citizens may result in significant post-election violence.48 Most concerning is that there are already worrying incidences of violence, perpetrated by Boko Haram in the north of Nigeria and ex-militants in the Niger Delta region, that could be exploited post-election. The threat is complicated by the proliferation of small arms and light weapons across Nigeria. The latter are some challenges which, unfortunately, the INEC has no control over. The increasing politicisation of the military represents another dangerous dimension. While the debate on whether or not the army should play a role during elections rages, its controversial role in past polls,51 coupled with the recent scandal over the alleged part of the military in rigging the 2014 election in favour of the PDP candidate, Ayo Fayose, for governor in Ekiti State, has added more potency to the discussions. Allegations from 2014 have, for the most part, been recalled to support citizens’ discontentment with the alleged role of Nigeria’s armed forces in forcing the postponement of the election. It seems that public trust in the military’s involvement in election processes is at an all-time low. Unless the army is able to prove its ‘innocence’ through highlighting its professionalism, impartiality and neutrality, Nigerians are unlikely to regain faith in it anytime soon. Deployment of the Nigerian military in any capacity during the upcoming election will have implications on the legitimacy and acceptability of the outcome. This PPB examined the pre-election context of the 2015 election in Nigeria, analysed the national, regional and international significance of the polls, and discussed the INEC’s important role in the process, highlighting key opportunities and challenges to its successful administration of the vote. It concludes by offering recommendations, targeted at different stakeholders, which are outlined below. Nigeria’s INEC needs to leverage the opportunities identified in this brief to improve its preparations for conducting the election. These include exploring the use of various platforms to initiate dialogue with relevant stakeholders to generate useful debate. It would also require rigorous sensitisation of the electorate around the need to accept the outcome of the vote as the legitimate representation of the aspiration of the majority of Nigerians; while not taking lightly any polling contestations – however small – as such would engender the grounds for contestation of the INEC’s impartiality, especially if refuted or unacknowledged in the results pronouncement. Some of such contestation might require sitting with leading presidential aspirants and agreeing on a feasible way forward even if it will delay the pronouncements of the results. A rush to pronounce results without addressing all possible challenges to the electoral processes would be tantamount to not giving due consideration to the suffering of an individual who might be willing to shed blood for his or her own beliefs. Nigeria’s government should clearly demarcate the boundaries between government and party activities. Merging the two confers undue advantages on the ruling party, disproportionately skewing the political playing field against the opposition. The government should also expedite action in the ongoing response to Boko Haram; after all the postponement was hinged on the necessity of curtailing the insurgency. The government should also take steps to ensure that all political parties, especially the biggest ones, conduct their electioneering with decorum, based on issues and devoid of foul language and blackmail tactics. The parties should also honour the peace accord to which they willingly subscribed. This requires appealing to their supporters to eschew all forms of violence before, during and after the elections. Nigerian CSOs could do more to intensify efforts to push for positive reforms in the country’s electoral processes. Regular interventions by the Nigerian Civil Society Situation Room, a coalition of leading CSOs which includes the Policy and Legal Advocacy Centre (PLAC) and Centre for Democracy and Development (CDD), among others working on governance and democracy related matters, is particularly noteworthy. Their periodic advocacy activities and media briefings on preparations for and issues relevant to the electoral process should be more sustained. There is also potential for them to intensify voter education for enhanced citizen participation and chances of maintaining peace. 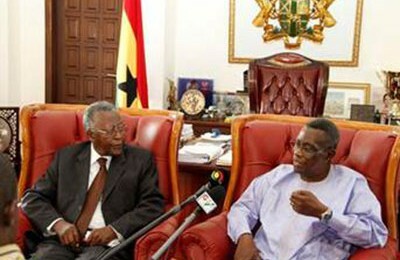 The AU and ECOWAS should show more interest in and commitment to the transition process. Apart from providing logistical support to the INEC, the two bodies should facilitate peace processes, especially in the face of growing tensions because of heightened competitiveness around the election. Whereas both deployed election observers to Nigeria in advance of the original 14 February election date, the numbers making up their teams need to be fairly large, to cover identified lapses in planning and bring them to the attention of relevant authorities for rectification where possible. 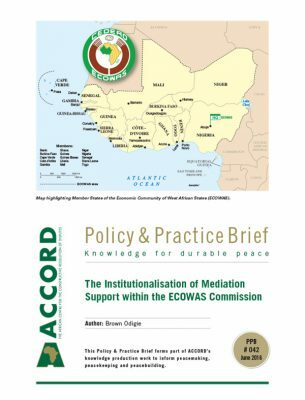 The 250 and 50 observers deployed by ECOWAS and AU respectively seem inadequate to effectively do this. The AU in particular should also expedite the implementation of its regional frameworks for combating Boko Haram, with particular focus on its endorsement of the creation of a regional force of up to 10 000. Finally, international organisations such as the UN and the Commonwealth of Nations should jointly engage with local pro-democracy stakeholders to pressure the government to adhere to the new election date. They should offer logistics and intelligence support in the fight against Boko Haram. In their turn, international election monitoring groups should deploy large numbers of observers to cover constituencies beyond the major cities which are usually reached. The deployment should be timely enough to allow them to offer pre-election recommendations aimed at improving Nigerians’ experiences at the polls. Muhammadu Buhari is a Nigerian politician and a retired Major General in the Nigerian Army. He ruled Nigeria from 31 December 1983 to 27 August 1985, after taking power through a military coup d’état. Buhari, M. 2015. Prospects for democratic consolidation in Africa: Nigeria’s’ transition. Paper presented at Chatham House, London, 26 February. Available from: <http://pulse.ng/politics/muhammadu-buhari-read-full-text-of-apc-candidate-s-chatham-house-speech-id3522072.html> [Accessed 2 March 2015]. Omotola, J.S. 2010. Elections and democratic transitions in Nigeria under the Fourth Republic. 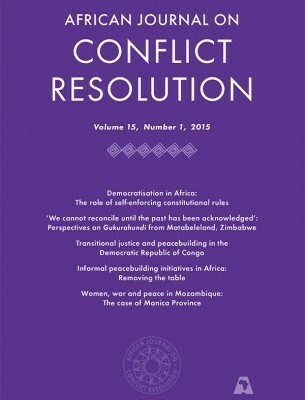 African Affairs, 109 (437), pp. 535–553; Omotola, J.S. 2012. Election administration and democratic consolidation in Ghana and Nigeria under the Fourth Republic. PhD thesis. Ibadan, University of Ibadan; Omotola, J.S. 2013. Trapped in transition: Nigeria’s first democratic decade and beyond. Taiwan Journal of Democracy, 9 (2), pp. 171–200. Human Rights Watch. 2011. Nigeria: Post election violence killed 800. Human Rights Watch. New York, Human Rights Watch. 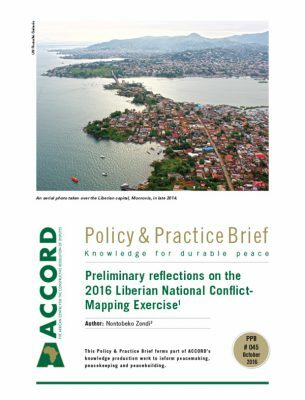 Available from: <hrw.org/news/2011/05/16/nigeria-post-election-violence-killed-800> [Accessed 2 March 2015]; Orji, N. and Uzodi, N. 2012. Post-election violence in Nigeria: Experience with the 2011 elections. 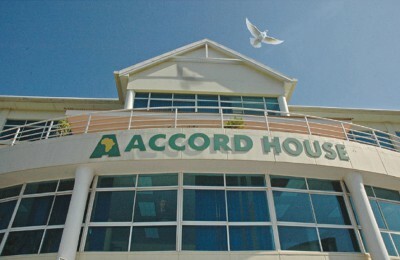 Policy and Legal Advocacy Centre. Abuja, Policy and Legal Advocacy Centre. Olaniyan. A. and Asuelime, L. 2014. Boko Haram insurgency and the widening of cleavages in Nigeria. African Security, 7 (2), pp. 91–109; and Onapajo, H. and Usman, A.A. 2015. Fuelling the flames: Boko Haram and deteriorating Christian–Muslim relations in Nigeria. Journal of Muslim Minority Affairs, DOI: 10.1080/13602004.2015.1007667. Available from: <http://www.tandfonline.com/doi/abs/10.1080/13602004.2015.1007667#.VQwl0Rv9nIU> [Accessed 28 February 2015]. Akinyemi, A.B. 2014. Open letter to Jonathan, Buhari, by Prof. Bolaji Akinyemi. Premium Times, 22 December. Available from: <http://blogs.premiumtimesng.com/?p=166391> [Accessed 28 February 2015]. Okolo, B.S. 2014. 2015. Survival of the Nigerian state. African Security Review, 23 (2), pp. 161–171. Global Fire Power. 2015. Defense budget by country. Global Fire Power. Available from: <http://www.globalfirepower.com/defense-spending-budget.asp> [Accessed 24 March 2015]. Omotola, J.S. 2014a. Promoting stability and development in Nigeria: The role of the private sector. European Union. Italy, International African Institute. Omotola, J.S. 2008. From importer to exporter: The changing role of Nigeria in promoting democratic values in Africa. 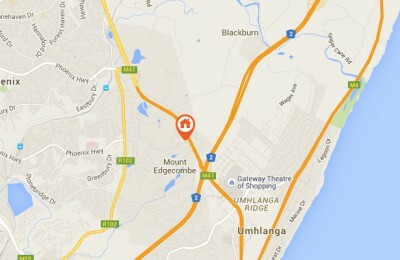 In: Pretorius, J. ed. 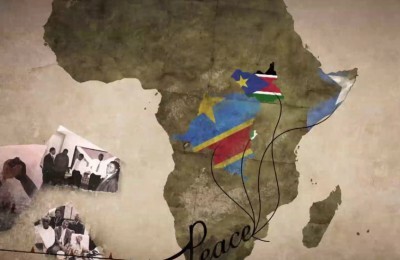 African politics: Beyond the third wave of democratisation. Cape Town, Juta Academic Press. pp. 32–54. Omotola, J.S. 2014b. The African Union and the promotion of democratic values in Africa: An electoral perspective. 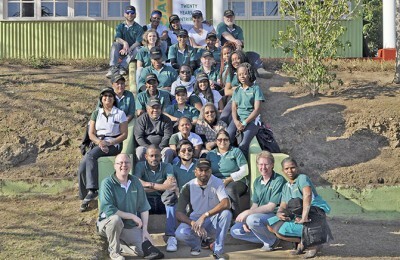 South African Institute of International Affairs. Occasional Paper 185, May. Johannesburg, South African Institute of International Affairs. The Guardian. 2014, Refugees from Boko Haram. The Guardian, 13 November. 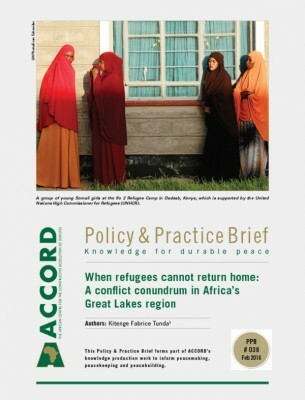 Available from: <http://www.ngrguardiannews.com/opinion/editorial/186395-refugees-from-boko-haram> [Accessed 28 February 2015]. Egwu, S.G. 2014. Nigeria’s 2015 general election: Outlook and challenges. West Africa Insight, 29. 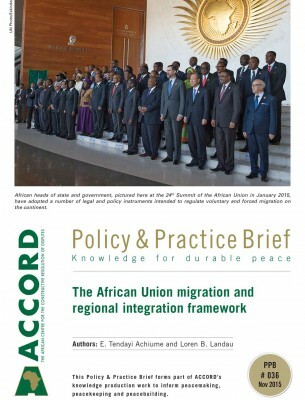 Available from: <http://westafricainsight.org/articles/view/299> [Accessed 28 February 2015]. Adidi, J. 2013. Did America really predict that Nigeria will break up in 2015? Daily Trust, 5 September. 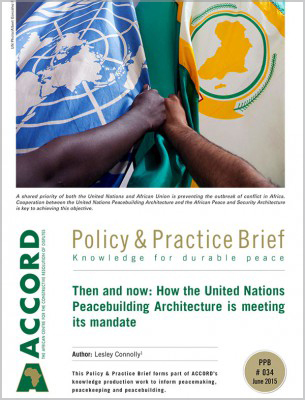 Available from: <http://allafrica.com/stories/201309050822.html> [Accessed 28 February 2015]. Baiyewu, L. 2014. Nigerian refugees in Cameroon triple in two months – UN. Punch, 16 November. Available from: <http://www.punchng.com/news/nigerian-refugees-in-cameroon-triple-in-two-months-un/> [Accessed 28 November 2015]. Saliu, H.A. and Omotola, J.S. 2008. 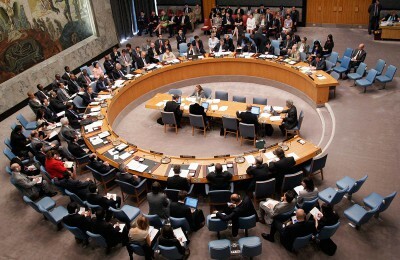 Can Nigeria get a UN Security Council seat? South African Journal of International Affairs, 15 (1), p. 77. Lawrence A. (1996), Peacekeeping and International Security in Changing World. Jos, Mono Expressions Ltd, p. 192. Oshuntokun, A. 2005 Foreign policy challenges: Olusegun Obasanjo as president of Nigeria and chairman of AU. In: Akinterinwa, B. ed. 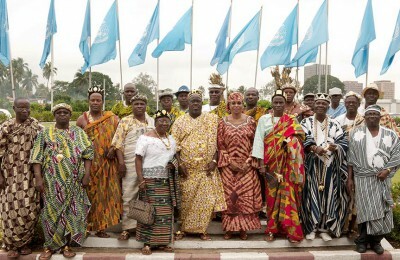 Nigeria and the development of the African Union. Ibadan, Vantage Publishers. p 8. Orji, N. 2014. Nigeria’s 2015 election in perspective. Africa Spectrum, 49 (3), p. 127. Egwu, S. G. 2014. Op cit. p. 3. Offiong A.V., Jimoh, A., Jimoh, A., Alhassan, A., Bivan, M., Ahmadu-Suka, M., Adibe, T. and Akinyemi, A. 2015. Nigerians in last minute rush for PVCs. Daily Trust, 7 March. Available from: <http://www.dailytrust.com.ng/weekly/index.php/top-stories/19234-nigerians-in-last-minute-rush-for-pvcs> [Accessed 24 March 2015]. Odebode, N., Alechenu, J., Obe, E., Oluwole, M.J., Affe, M., Chiedozie, I., Ogundele, K. and Nwogu, S. 2015. PDP panics over high PVC collection in APC strongholds. Punch, 11 January. Available from: <http://www.punchng.com/news/pdp-panics-over-high-pvc-collection-in-apc-strongholds/> [Accessed 28 February 2015]. Jega, A.M. 2015a. Preparations for the 2015 general elections: Progress report, presentation to the Council of State, 5 February; Jega, A.M. 2015b. Election postponement speech. Pulse, 7 February Available from: <http://pulse.ng/politics/2015elections-read-full-text-of-jega-s-election-postponement-speech-id3466565.html> [Accessed on 28 February 2015]. Osun Defender. 2015. Update: PVC collection hits 78% – INEC. Osun Defender, 2 March. 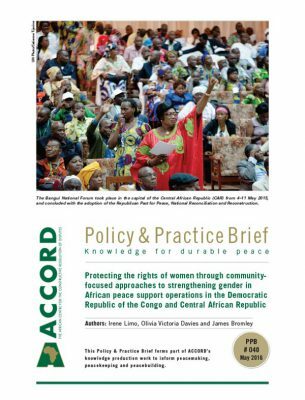 Available from: <http://www.osundefender.org/?p=219542> [Accessed 2 March 2015]. Soludo, C. 2015a. Buhari vs Jonathan: Beyond the election. Vanguard, 25 January. Available from: <http://www.vanguardngr.com/2015/01/buhari-vs-jonathan-beyond-election-charles-soludo/> [Accessed 2 March 2015]. Soludo, C. 2015b. Soludo shoots back at Jonathan, says president missed the point. Premium Times, 24 February, Available from: <http://www.premiumtimesng.com/news/headlines/177474-soludo-shots-back-at-jonathan-says-president-missed-the-point-on-missing-n30-trillion.html> [Accessed 2 March 2015]. 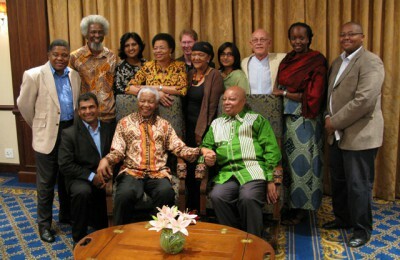 Mo Ibrahim Foundation. 2014. 2014 Ibrahim Index of African Governance. 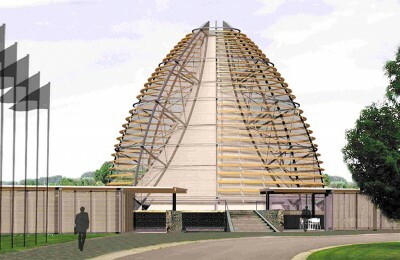 Mo Ibrahim Foundation. Available from: <http://www.moibrahimfoundation.org/> [Accessed 20 October 2014]. The two affected aspirants were Dr Abdul-Jhalil Tafawa-Balewa, son of Nigeria’s prime minister, and Prof Akasoba Duke-Abiola, wife of the late Moshood Kashimawo Olawale Abiola (often referred to as M.K.O. Abiola). See: Fabiyi, O. 2014. After collecting their N24m, PDP rejects two presidential aspirants. Punch, 29 October. Available from: <http://www.punchng.com/news/after-collecting-their-n24m-pdp-rejects-two-presidential-aspirants/> [Accessed 2 March 2015]. Adibe, J. 2015. The 2015 Presidential Elections in Nigeria: The Issues and Challenges. p 6. 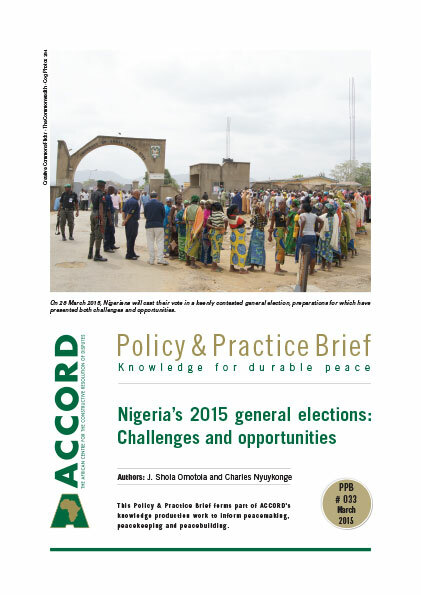 Available at <http://www.brookings.edu/~/media/Research/Files/Reports/2015/01/foresight%20africa/nigeria%20elections%20adibe.pdf> [Accessed 26 March 2015]. Ejike, S. 2014. “Additional Polling Units: INEC’s Plan to Rig 2015 Elections, Southern Assembly Alleges.” Nigerian Tribune, September 10. <http://www.naijaheadlines.com/agency/tribune/20140909/654145/additional-polling-units–inec—s-plan-to-rig-2015-elections–southern-assembly-alleges> [Accessed 26 March 2015]. The PDP Aspirants Forum, for example, visited Chief Edwin Clark, a leader of Ijaw believed to be one of the main backers of President Jonathan, for intervention. See: Nigerian Eye. 2015. Party leaders working for PDP’s failure – Edwin Clark. Nigerian Eye, 22 February. Available from: <http://www.nigerianeye.com/2015/02/party-leaders-working-for-pdps-failure.html> [Accessed 2 March 2015]. The Guardian. 2014. TAN and the breach of electoral law. Editorial. The Guardian, 16 September. Any regular follower of the NTA, locally and internationally, will easily attests to this claim. A medical report purportedly issued by the Amadu Bello University Teaching Hospital was widely circulated in the media as proof of this claim. However, the hospital issued a disclaimer dissociating itself from the report, claiming that it was fabricated. See: Information Nigeria. 2015. ABU Teaching Hospital discredits Buhari cancer report – APC campaign office denies foreign trip for medical checkup. Information Nigeria, 18 January. Available from: <http://www.informationng.com/2015/01/abu-teaching-hospital-discredits-buhari-cancer-report-apc-campaign-office-%E2%80%A2denies-foreign-trip-for-medical-check-up.html> [Accessed 2 March 2015]. At times, the accusations against Buhari became almost comical, with claims, among others, that he did not know the full term of the acronym APC, the platform under which he was running for the presidency. Tukur, S. 2015. APC spent N5 billion on Buhari’s Chatham House speech, PDP campaign alleges. Premium Times, 1 March. Available from: <http://www.premiumtimesng.com/news/top-news/177756-apc-spent-n5-billion-on-buharis-chatham-house-speech-pdp-campaign-alleges.html> [Accessed 3 March 2015]. Premium Times. 2015. APC behind fuel scarcity, plotting sabotage of power supply – Jonathan’s campaign. Premium Times, 3 March. Available from: <http://www.premiumtimesng.com/news/top-news/177824-apc-behind-fuel-scarcity-plotting-sabotage-of-power-supply-jonathans-campaign.html> [Accessed 4 March 2015]. Audu, O. 2015. APC youth vandalise, torch PDP campaign office as Buhari visits Maiduguri. Premium Times, 16 February. Available from: <http://www.premiumtimesng.com/regional/nnorth-east/176969-apc-youth-vandalise-torch-pdp-campaign-office-buhari-visits-maiduguri.html> [Accessed 3 March 2015]. For Yuguda’s comments see: Daniel, S. 2015. Jonathan’s rally: FCT minister, not APC masterminded Bauchi attack – Yuguda. Vanguard, 20 January. Available from: <http://www.vanguardngr.com/2015/01/jonathans-rally-fct-minister-not-apc-masterminded-bauchi-attack-yuguda/> [Accessed 2 March 2015]. Premium Times. 2015. Another APC secretariat bombed in Rivers, as PDP office is attacked in Zamfara. Premium Times, 17 January. Available from: <http://www.premiumtimesng.com/news/top-news/175100-another-apc-secretariat-bombed-rivers-pdp-office-attacked-zamfara.html> [Accessed 2 March 2015). A number of issues are involved in the feud. For a representative view see: Abia, D. 2014. Fresh phase in Jonathan-Amaechi feud. Daily Independent, no date. Available from: <http://dailyindependentnig.com/2014/10/fresh-phase-jonathan-amaechi-feud/> [Accessed 3 March 2015]; See also: Odunayo, A. 2015. Truth: Between Governor Amaechi and Patience Jonathan. Available from: <http://www.naij.com/311317-truth-between-governor-amaechi-and-patience-jonathan.html> [Accessed 3 March 2015]. Orji. 2014. Op cit. p. 126. Africa Confidential. 2015. Democracy delayed. 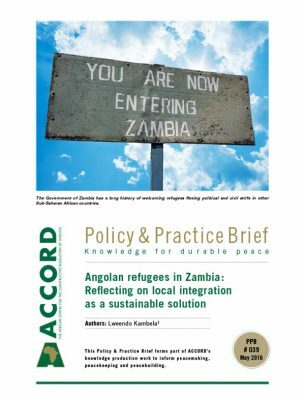 Africa Confidential, 56 (4), 20 February. 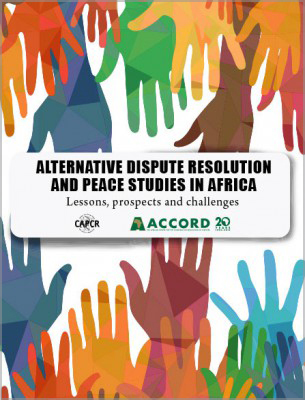 Available from: <http://www.africaconfidential.com/article/id/6004/Democracy_delayed> [Accessed 28 February 2015]. Jega, A.M. 2015a. Op cit. For a representative view see: Solanke, A. 2015. Nigeria, election postponement and global reactions. National Mirror, 16 February. Available from: <http://nationalmirroronline.net/new/nigeria-election-postponement-and-global-reactions/> [Accessed 3 March 2015]. See also: Crisis Group. 2015. Nigeria’s elections: A perilous postponement. Crisis Group, 12 February. 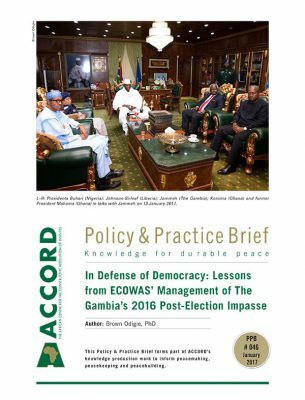 Available from: <http://blog.crisisgroup.org/africa/2015/02/12/nigerias-elections-a-perilous-postponement/> [Accessed 3 March 2015]. Makanjuola B. 2015. Post-2015 polls violence looms, Bolaji Akinyemi warns. Available from: <http://washingtonnigeriantimes.com/post-2015-polls-violence-looms-bolaji-akinyemi-warns/> [Accessed 24 March 2015); Channels Television. 2014. Prof. Bolaji Akinyemi Advises Jonathan, Buhari Against Violence. Channels Television. 22 December. Available from: <http://www.channelstv.com/2014/12/22/prof-bolaji-akinyemi-advises-jonathan-buhari-against-violence/> [Accessed 24 March 2015]. Isenyo, G. 2015. CAN collected â‚¦7bn bribe from Jonathan, Borno pastor insists, Punch, 24 February. Available from: <http://www.punchng.com/news/can-collected-n7bn-bribe-from-jonathan-borno-pastor-insists/> [Accessed 3 March 2015]. One of the co-authors of this paper witnessed this in his local church in Nigeria. Olurode, L. ed. 2013. Election security in Nigeria: Matters arising. Abuja: INEC and Friedrich Ebert Stiftung. See chapters 5 and 9 in particular.